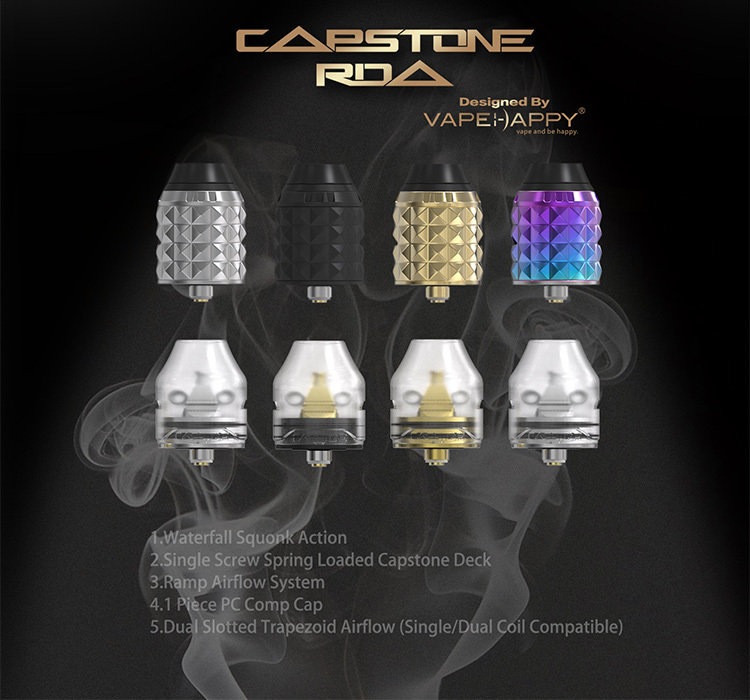 Vandy Vape Capstone RDA is a squonk atomizer with totally new appearance, new deck, new airflow system and of course new vaping experience! From outside, we see its airflow cap, which is decorated with many tiny quadrangular pyramids, suggesting the shape of the innovative deck, the Capstone Deck. 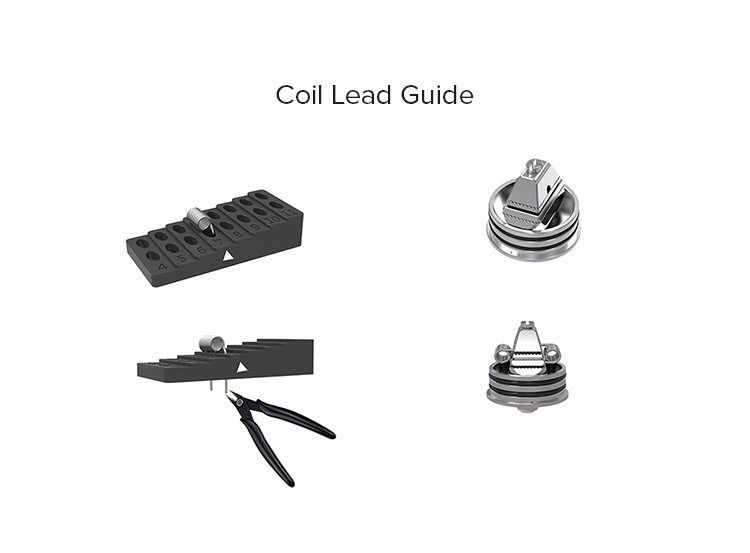 The deck consists of three layers with single screw to connect it from the top, and it's on its slopes that we build the coils, single or dual coils. In this way, Capstone creates the innovative upward ramp airflow. Also, the trapezoid top cap is used to control airflow intaking from two sides, bringing surprisingly new flavor(Another PC Comp Cap for another airflow inlets)! Finally, the waterfall squonk action makes the cotton full of e-juice, producing mouthful and tasty vapor! Recommended Battery: Vandy Vape Pulse BF 80W Box Mod, Eleaf Pico Squeeze 2 Box Mod, etc. 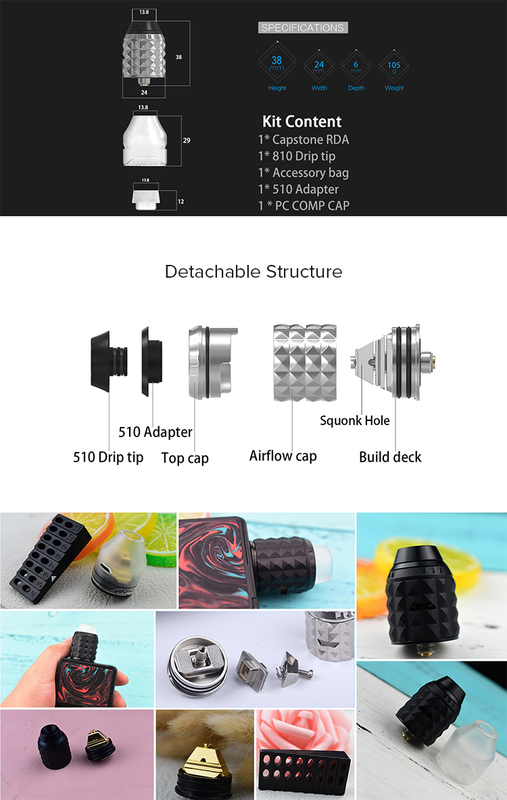 Amazingly innovative build deck and airflow system!